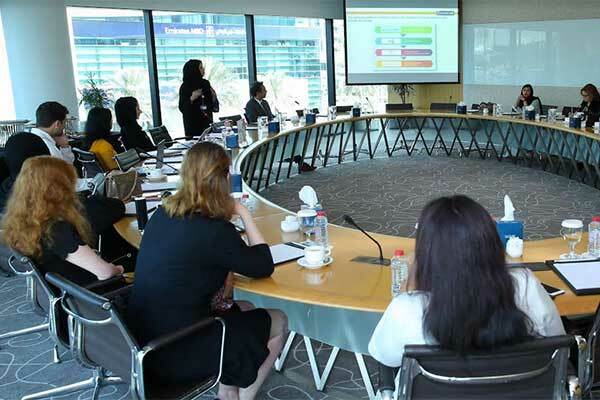 The Dubai Chamber of Commerce and Industry recently hosted a series of three Best Practice Sharing Sessions at its premises which highlighted a variety of best practices in the areas of employee welfare, waste management, environmental education, Emiratisation, and social inclusion of persons with disabilities, among others. The event, held at the Chamber’s premises in Deira, was organised by members of the Dubai Chamber Sustainability Network and led by the network’s specialised task forces. Representatives from leading companies in the UAE participated in the sessions, including Emirates NBD, Chalhoub Group, Cummins Middle East, Empower, RAK Bank, Six Construct, Farnek Services, German Imaging Technologies, Dubai Design District, Veolia, Dulsco, UAE Exchange, Nestle, Axiom Telecom, and Tristar Group. Dr Belaid Rettab, senior director, Economic Research & Sustainable Business Development Sector, Dubai Chamber, noted that the strong participation in the sessions reflected a growing awareness about important sustainability and CSR matters impacting businesses in Dubai. He explained that the case studies, best practices, strategies and experiences shared by participating companies provided valuable insights which will help build on progress already achieved by the task forces and identify new areas where businesses can align their efforts to maximise their social impact.